When we started this venture, just one month ago, you would have a hard time finding us on the web. This morning I logged into the Livestream site, selected the sports category and looked for the most popular channels for the period covering the last 24 hours. Out of the 835 channels in that category, we ranked 17th in viewer minutes. We had up to 135 viewers with 48 active chatters having a lively discussion. Every day, we see an increase in the number of viewers.  As we work out the kinks in putting this channel together, we really appreciate the viewers who have watch us grow. We will continue to improve the WebCam channel. Your blogs are totally value gift compute and energy gym pros. The FishTankSetups light fixture is ideal for any type of aquarium and you can manage any kind of plant in the best possible way. The light fixture will ensure that all the colors are popped up properly so that you can have great appearance; the sleek design and energy-efficient light will ensure that your aquarium needs are fulfilled in a very efficient manner.